View More In Motor Contactors. 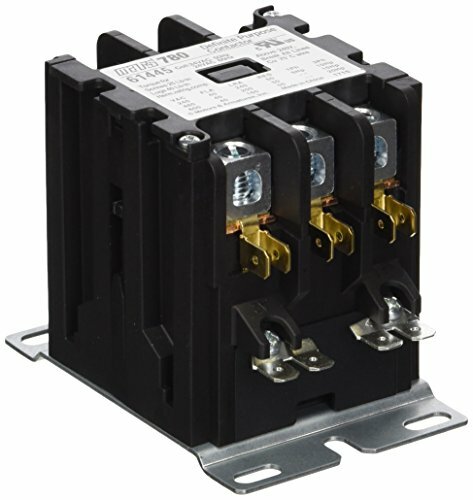 Contactor type: definite purpose; fla inductive amps 40; fla resistive amps 50; number of poles 3; width inches 2.38; coil voltage 24; coil hz 50/60; lug or screw terminal: box lug/dual qc; height inches 2.87; depth inches 3.69; standards UL; number of qc terminals per pole 2;. Manufacturer: MARS - Motors & Armatures, Inc. Publisher: MARS - Motors & Armatures, Inc. Studio: MARS - Motors & Armatures, Inc. If you have any questions about this product by MARS - Motors & Armatures, contact us by completing and submitting the form below. If you are looking for a specif part number, please include it with your message.